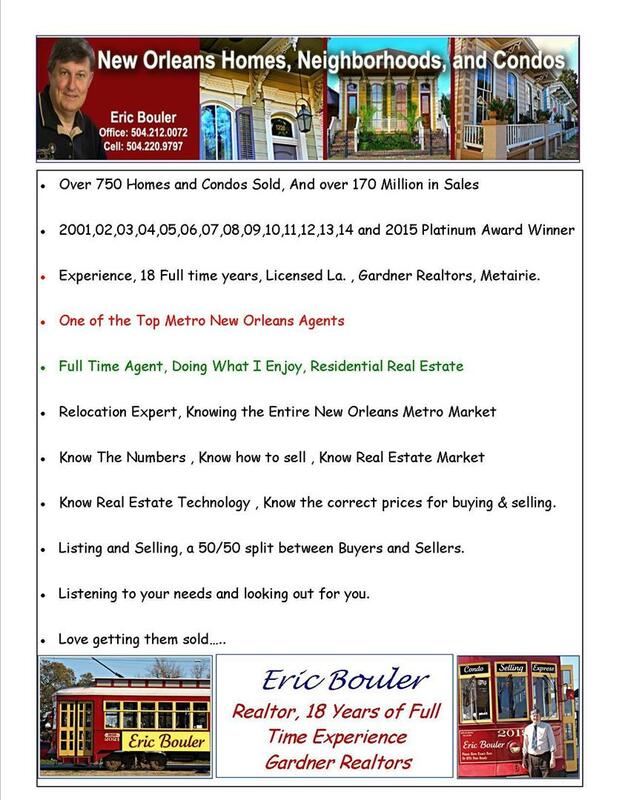 Experience in the neighborhood and the New Orleans Condo Market does matter. 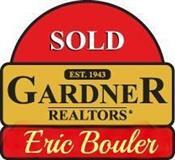 Knowing the trends and pricing helps me with my sellers and buyers. 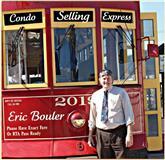 With 20 years of Experience in Real Estate and an additional 20 years in the New Orleans Grocery business, I know the neighborhoods and trends. 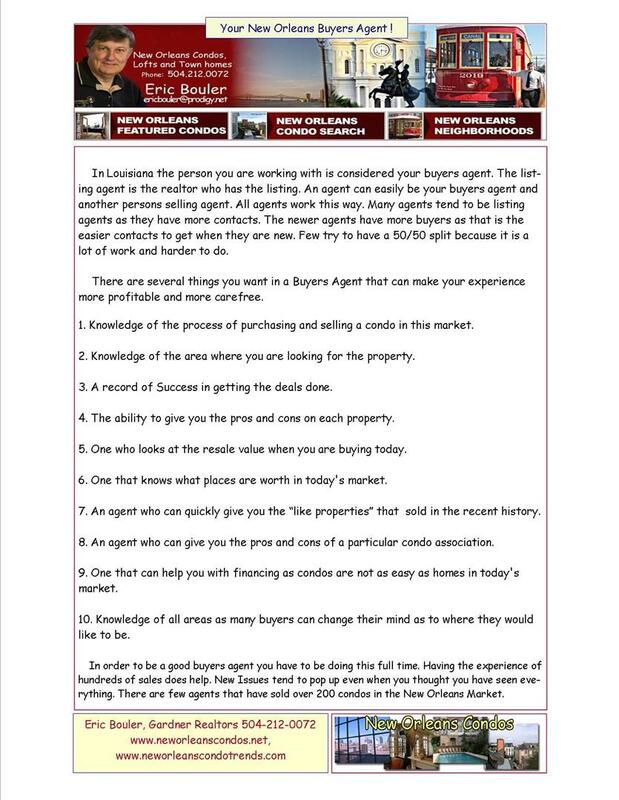 Once I know your needs I can narrow your search down to the best 3-4 units that are on the market. Having seen and sold in the various condo associations I know the pluses and minuses of each condo. 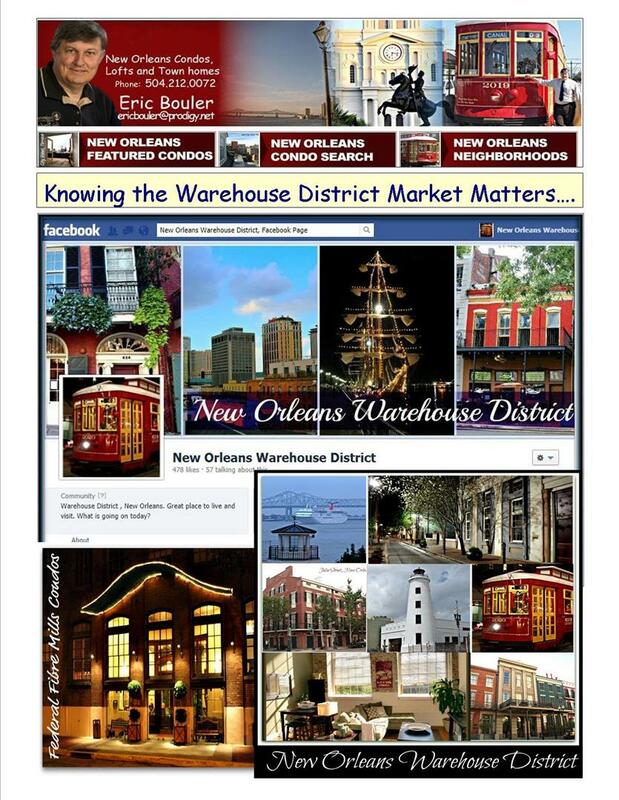 If none currently on the market meet your needs we can visit the associations that I think you would like. 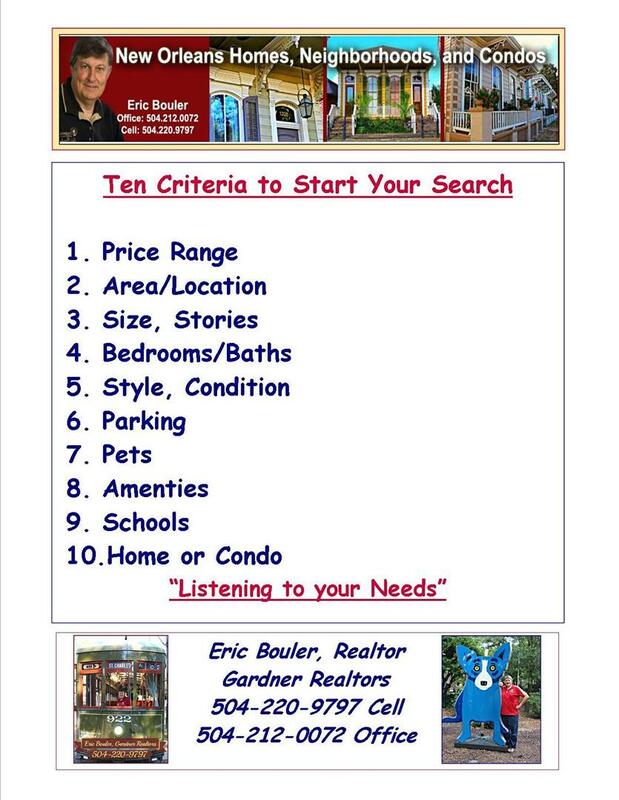 Then we can set you up on a watch list to see all the new listings and sales.